FBI Notice pertaining to DNA testing and the amendment of the FBI's STR Population Data Published in 1999 and 2001. 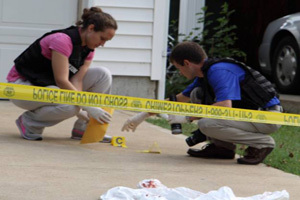 The Biology/DNA Section is responsible for examining evidence thought to contain bodily fluids or thought to have come in contact with an individual related to a crime, sampling or swabbing evidence, performing DNA analysis on these samples and reporting the findings and testifying in court. 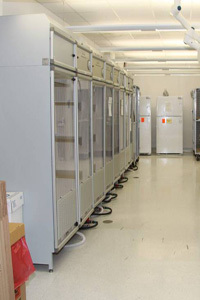 The Biology/DNA Section also maintains and administers the local Combined DNA Index System (CODIS) and provides assistance in criminal matters to outside agencies regarding forensic biological screening and/or forensic DNA analysis upon request and approval of the Commander of the Laboratory Division. The Drug Section evaluates and identifies physical evidence to determine if the evidence contains a controlled substance. 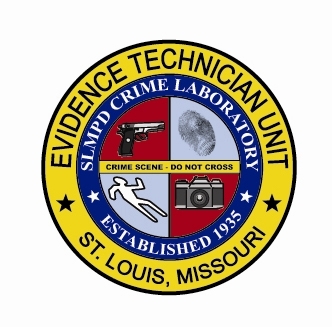 They provide forensic chemistry services to the St. Louis Metropolitan Police Department employees, as well as outside agencies in the investigation of criminal cases upon the approval of the Commander of the Laboratory Division and assist in the adjudication of controlled substance cases in State and Federal Court. The Evidence Technician Unit responds to requests for service 24 hours a day as determined by the Deputy Chief of the Bureau of Auxiliary Services. The Unit also processes all major crime scenes to identify, preserve and collect physical evidence while taking photographs, searching for and lifting latent fingerprints and collecting samples for DNA analysis. The Firearms Section examines firearm evidence to determine whether a specific bullet or firearm can be related to a particular crime. Analysts also test firearms for functionality and restore eradicated or altered serial numbers. The Firearms Section instructs all employees of the Department in the proper methods of collecting, marking and preserving firearm evidence and provides firearm identification services for other law enforcement agencies in connection with the investigation of criminal cases upon the approval of the Commander of the Laboratory Division and assist in the adjudication of controlled substance cases in State and Federal Court. The Graphic Artist is responsible for creating maps, timelines, charts, graphs and diagrams of crime scenes, including courtroom displays as requested by Department employees or the Circuit Attorney's Office. Other duties of the Artist include creating neighborhood, district and city maps as requested, preparing the SLMPD Quarterly Newsletter and the Laboratory Division Annual Report and creating printable and/or electronic forms, brochures, handouts and signs to be used by the Laboratory Division. This Identification Section is responsible for processing evidence for latent fingerprints, utilizing the ACE-V procedure to examine latent print evidence and evaluate their eligibility for the Automated Fingerprint Identification System (AFIS), verifying arrested subjects by using AFIS as well as photographing and providing juvenile photo line-ups . The Identification Section also maintains fingerprint cards of department employees, adult criminals and juveniles and assists outside agencies in the investigation of criminal cases upon the approval of the Commander of the Laboratory Division. This section works to maintain, secure and correct data in the Laboratory Information Management System (LIMS). This data includes, but is not limited to, case information, exam notes and documentation, communications with customers and final laboratory reports. This section is also charged with the maintenance of the iResults report distribution website. Photography Section serves as the principle police photographer and is responsible for photographing and processing photographs of Department employees. This section also processes and prints photographs from digital media evidence received from multiple units, maintains digital photographs using the Digital Imaging Management System (DIMS) and testifies in court concerning photographic evidence as needed. Quality Assurance is responsible for coordinating and administering the activities required to implement and maintain a quality program that complies with the ISO 17025 International Standard in the Laboratory Division. These activities include comprehensive staff training and continuing education programs, casework reviews, proficiency testing, corrective and preventive action programs, document review and control, audits, method and reagent validations and courtroom testimony monitoring. Laboratory Clerks take in and scrutinize evidence from customers and enter the evidence into the Laboratory Management System (LIMS). 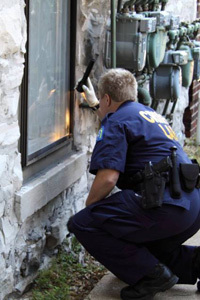 They also are responsible for conveying evidence to the Property Custody Division after analysis is complete, conveying and retrieving evidence to and from the Missouri State Highway Patrol for specialized analysis, and monitoring alarms on freezers/refrigerators. In addition to these evidence handling duties, Laboratory Clerks are charged with organizing, maintaining, cataloguing and retrieving lab case files upon request. The Lab Administrative Coordinator is responsible for administrative functions for the entire Laboratory Division, including the maintenance of all section schedules, contact information and other administrative files, the ordering of supplies from the Supply Division, the preparing of basic statistics and completing specialized tasks in the LIMS system. The Support Supervisor assists with planning and preparing the annual budget for the Laboratory Division, pays invoices, updates and monitors the budget spread sheet and other files, and monitors the Evidence Room. The Support Supervisor is also charged with overseeing all front office activity and managing the laboratory clerks. 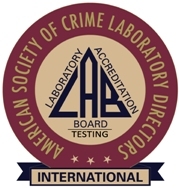 Nationally accredited by the American Society of Crime Laboratory Directors/Laboratory Accreditation Board (ASCLD/LAB), the Metropolitan Police Department’s Crime Laboratory is one of the premier laboratories in the state of Missouri. Equipped with state-of-the-art technology and a team of scientific experts, the Crime Laboratory is charged with assisting officers when a crime has occurred by identifying and gathering forensic evidence. The crime laboratory is one of only 250 labs accredited under the ISO 17025 International Testing Program.